The Hilife Allstars describe their music as 'Afro and Brazilian jazz meets dub, free improv and spiritual jazz-rock in a sonorous clash of universal sound'. The guitar, bass and drums combination puts a variety of groove sources through the blender, from David Bowie tunes to Marcos Valle and Joao Donato. 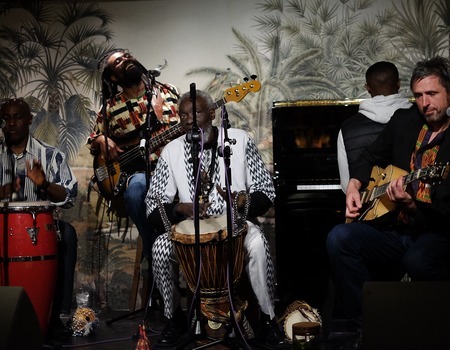 Original tunes have been forged from flavours of Ghanian hilife, Brazilian baiao and desert blues from Mali, as well as jazz references from Jim Hall, Tony Williams, Sonny Sharrock and Pharaoh Sanders.